At this time of year, it’s ALL about everything pumpkin. Pumpkin muffins, pumpkin lattes (I’ll be posting those soon! 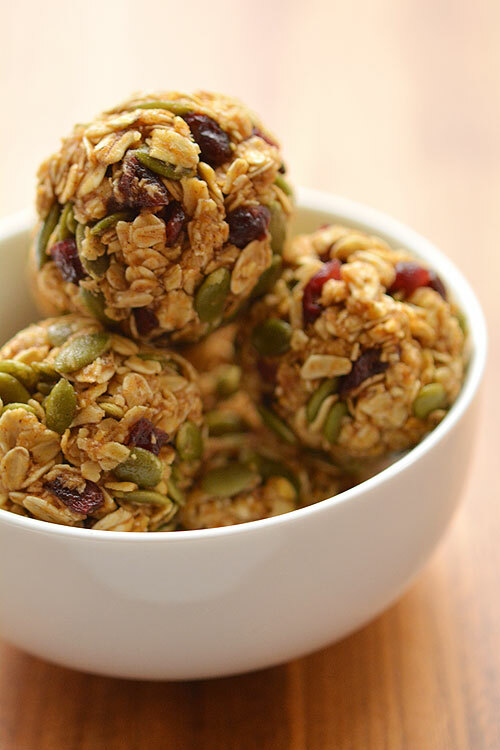 ), and even these pumpkin breakfast bites. 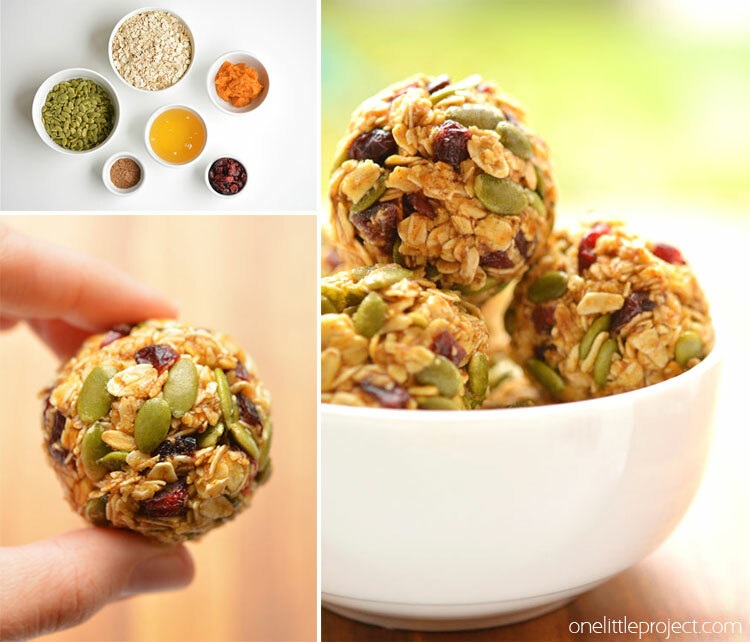 Because when you have an open can of pumpkin puree, why wouldn’t you want to use it to make these awesomely delicious, energy filled pumpkin breakfast bites?! 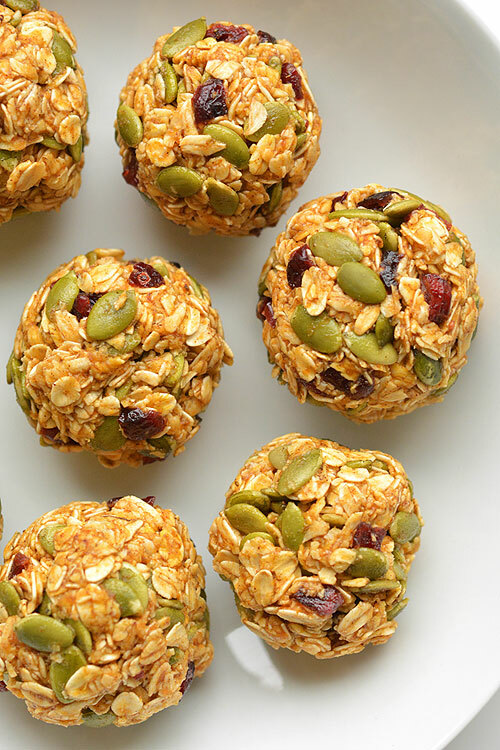 These energy balls are perfect for breakfast on the run (and so are the chocolate chip pumpkin muffins I made with the leftover canned pumpkin… yum!) and they are jam packed with all your favourite autumn flavours. 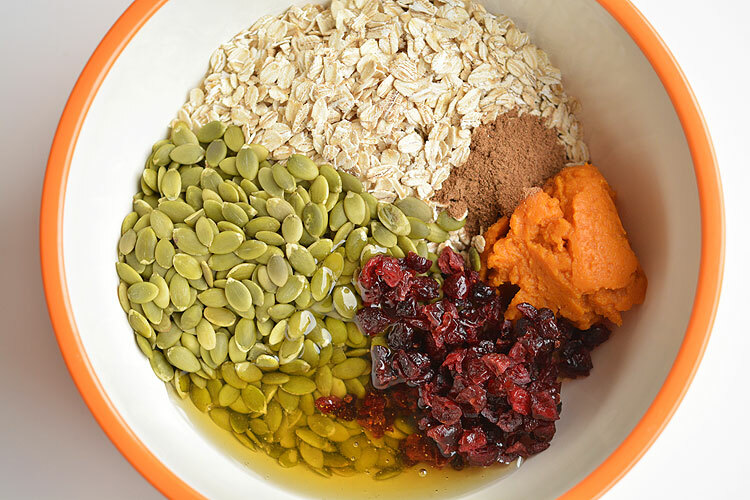 Pumpkin, pumpkin spice, dried cranberries… Yum! Grab two of these along with a coffee and you’ll be set for hours. I was inspired by the recipe over at Leelalicious, except her recipe is for baked pumpkin breakfast cookies (which look amazing, by the way. Definitely worth checking out her recipe!). You know me and baking though… if I can find an easier way to make something, I’m totally taking the easy route! And so these pumpkin breakfast bites were born. Easy. No-bake. Great for moms on the go like me who need breakfasts they can carry in their hands because they only get to sit down at the breakfast table maybe once a week if they’re lucky… I guess I could set my alarm and wake up earlier so I have more time for breakfast, but who am I kidding? I’d rather just take breakfast to go! When I first made these, I only used honey, which is why the almond butter isn’t shown in the picture. But for my tastes, I think the honey was a little over powering, so unless you LOVE honey, I’d recommend substituting some of the honey for almond butter. You can use peanut butter if that’s all you have, but almond butter has less of a strong flavour than peanut butter, so it won’t overpower the other ingredients. It’s seriously this easy… add all the ingredients to a bowl. And stir. There. that’s pretty much it. See why I didn’t want to bake them? Get your hands a little wet and roll them into 1″ balls. Then set them on parchment paper. 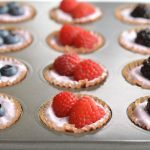 You can have your first snack of them right away of course, but you’re going to want to put the whole tray in the fridge for 20 minutes (or the freezer for 10 minutes), and then transfer them to an airtight container. Keep them stored in the fridge to help them keep their shape. Don’t they look delicious!? 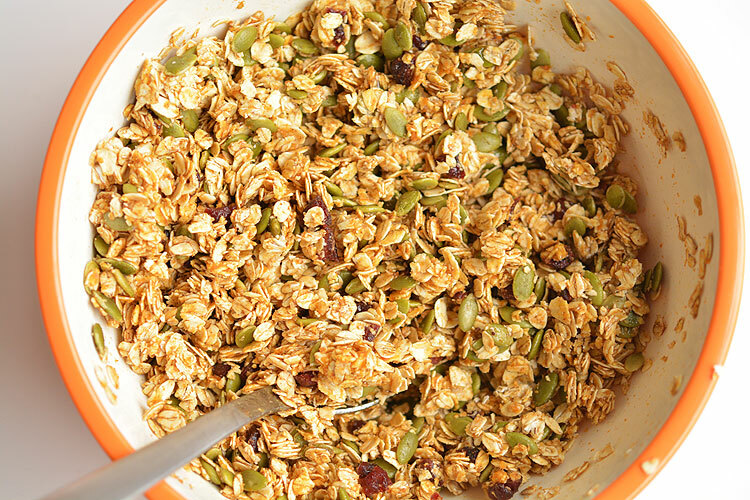 That combination of the pumpkin seeds and the dried cranberries is soooooo good! 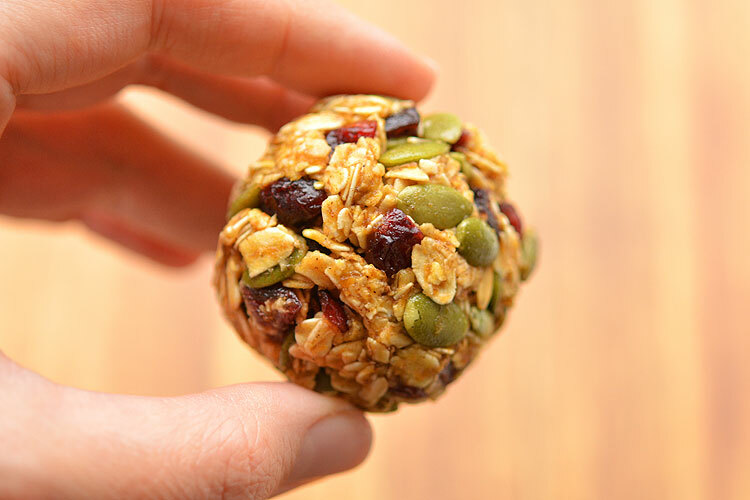 Wet your hands with water, take a handful of the mixture and roll it into 1 inch balls. Set on a parchment paper lined baking sheet. Place in the refrigerator for 20 minutes (or the freezer for 10 minutes), then transfer the energy balls to an air tight container. 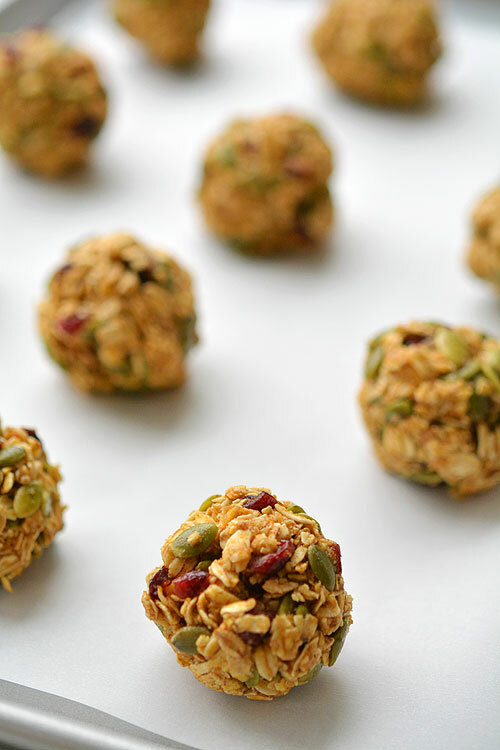 These no-bake pumpkin breakfast bites are SO EASY to make and they taste sooooo good! 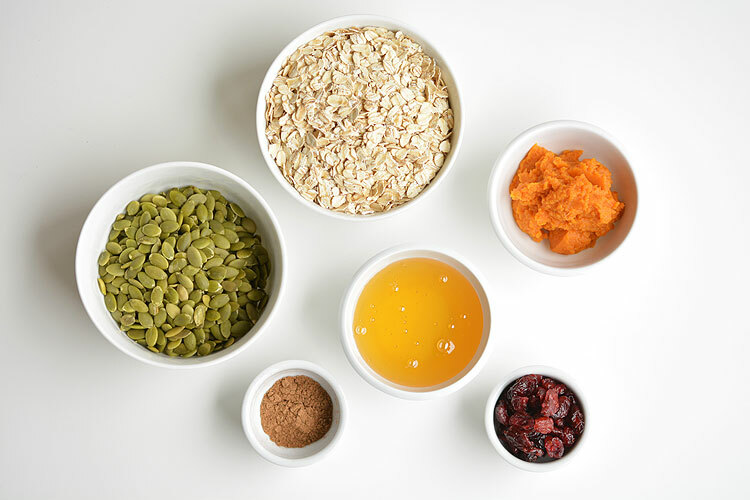 With pumpkin seeds, pumpkin and dried cranberries they have all those amazing autumn flavours! Yum! 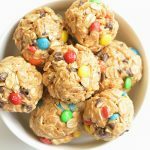 If you’re looking for more delicious energy bite recipes, check out our Monster Cookie Energy Balls. 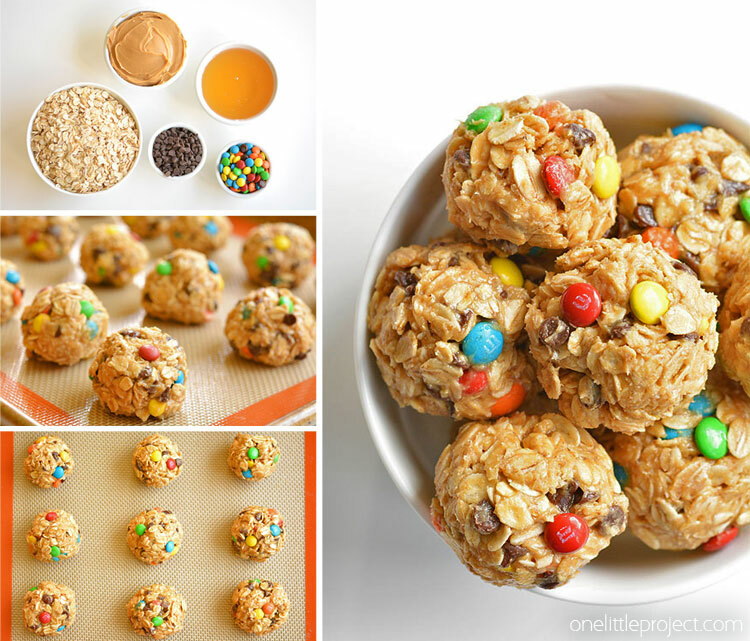 Peanut butter, chocolate and M&M’s… Oh my word, these taste amazing! 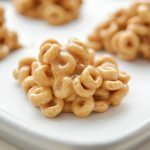 Peanut Butter Cereal Bites – These are soooo good! I made these last night and they taste really good. I used raisins instead of the dried cranberries and a boiled sweet potato instead of the canned pumpkin puree. They feel so nutritious as a mid-morning snack. Tomorrow I’m packing more for work! Thanks for this great idea. Thanks for your comment! I’m looking at a tub full of sweet potato puree wondering if it would work instead of pumpkin! Can you freeze these or don’t they last too well? These were a huge hit! Loved them! 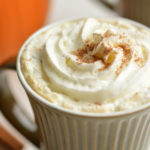 Is there a substitute for the canned pumpkin puree please. I live in the UK and this is not readily available.